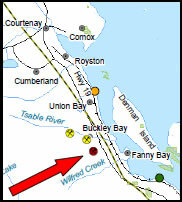 The move ended a process that began in mid-2009 amid fears that the mine would contaminate watersheds, threaten wildlife and harm shellfish growers in Baynes Sound. Roberta Stevenson, executive director of the B.C. Shellfish Growers Association, said Thursday that she was “delighted” by the decision to terminate the assessment, but frustrated that it took so long to arrive. Kevin Jardine, executive director of the environmental assessment office, stated in a letter to Compliance this week that he was unaware of any efforts since March 2015 to advance the project. O’Rourke said Thursday that he had yet to see the letter and had no comment on the government decision. Compliance announced in February that the company was effectively insolvent and that all directors had stepped down. It blamed the “protracted” environmental assessment process for the withdrawal of key investors and the company’s inability to raise more money. But Liberal MLA Don McRae, who represents Comox Valley, said the company had a long time to meet the test and failed. John Snyder, president of CoalWatch, said Compliance twice failed to submit the information required by the environmental assessment office. The company never made it past the initial screening in May 2013, before reapplying for an environmental assessment certificate in February 2015. “They kind of had two bites at the apple, but they just didn’t come through,” he said. Snyder said the decision will come as a relief to the many opponents of the project. Compliance Energy had planned to extract 1.1 million tonnes of coal per year during peak production, with trucks or trains carrying the product to Port Alberni for shipping to steel-making markets in Japan and South Korea. 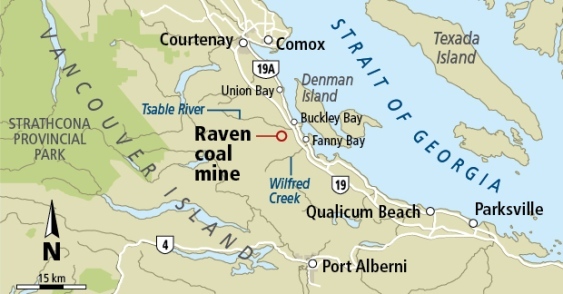 The company said in 2012 that the project would contribute $1.1 billion to local economies and create about 350 full-time jobs in the Comox Valley and Port Alberni over the 16-year life of the mine.